​Jennifer Daly, Medical Director of the Women’s Pavilion of St. Tammany Parish Hospital is a fellowship trained, board certified radiologist specializing in breast imaging.Dr. Daly earned her Medical Degree from Vermont College of Medicine and completed her Radiology Residency at the University of California, Irvine. 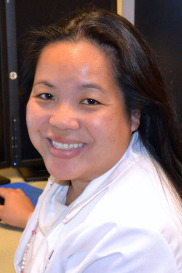 She completed a combined Women’s Imaging/Advanced Body Imaging Fellowship at the University of Southern California. She is certified by the American Board of Radiology and is a member of the American College of Radiology and the Society of Breast Imaging.